The Road Racers Podcast recently had the opportunity to slow down CCTCC Series President John Bondar just long enough to talk to us about himself as well as filling us in on some of the latest in Canadian Road Racing. If you are a long time listener of the Road Racers Podcast you will know it has already been three years since we last interviewed John and chatted to him about the Canadian Touring Car scene. Canada, you may be surprised has a long history in Road Racing competition. We learned of some of the early Motorsport influences for John going back to 1972 and witnessing Sir Jackie Stewart winning the Formula One Race at Mosport. Also his memories of meeting Gilles Villeneuve in his Formula Atlantic racing days and the circumstances surrounding the unplanned meeting. 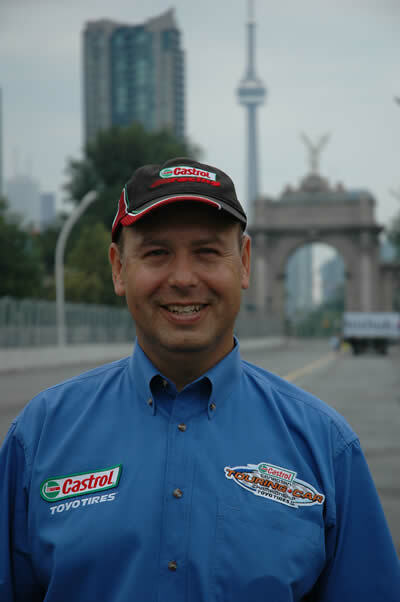 John has been involved in many areas of Canadian Motorsports from Corner Marshalling to being a competitor himself, to his current role as President of the Castrol Canadian Touring Car Championship Presented By Toyo Tires. John talks of his passion for Motorsports outside of Road Racing and discusses the current state and challenges for Road Racing in both the United States and Canada. Enjoy and we will see you at the track.